The longest I’ve been away from my wife since we were married about four years ago is a couple of days. This year for a weekend in February she went away with two other married women. I missed her, for sure. I tried to spend some time with my guy friends, and that helped. I got regular updates of their exploits, and that was enjoyable. But you can’t hug a picture on your phone. I mean, you can, but it’s not the same. 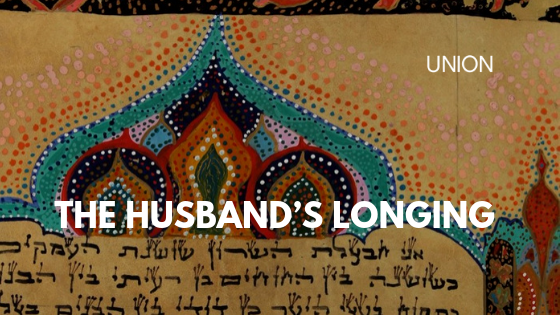 I like this translation because here the kohen (priest) is also a husband among his people. The husband/priest longs for his bride to be purified because he longs for intimacy with her. And what is it that defiles, that gets in the way? The exiting of life, otherwise known as death. In Ezekiel’s time, Israel is spiritually dead by her idolatry and injustice. And worse, not only has she profaned herself, but . . . well, let’s pick it up in the haftarah portion at Ezekiel 36:16–21. Here the husband is Hashem, and his name, or reputation, is profaned among the nations where Israel was scattered. The message being communicated was this: “The God of Israel couldn’t save these people from being scattered all over the earth.” Therefore, even when Israel is in exile, far from home because of her uncleanness, she has the same calling and purpose to reflect the God of Israel. It is still her job to sanctify the Name. In exilic shock? You’re not off the clock. But in the tradition of Leviticus, Ezekiel offers a solution: there is an opportunity for cleansing, renewal, and intimacy once again. The uncleanness of Israel runs deep, for she has a heart problem—indeed, the same heart problem as all sons and daughters of Adam. She needs a new heart, a new ruach (spirit) and a cleansing of living water (atonement), so that she can actually follow the Torah (instruction) of God, and be a faithful bride. With the Ruach of God within us, there is nothing separating us from his presence. We both are so excited ‘cause we’re reunited, hey, hey. The good news (both literally and figuratively) is that Yeshua has reunited Israel with her “husband/priest,” has given her a new heart to follow Torah, a new Spirit to be in his presence, and a cleansing with the water of life. May we be rooted in his longing for us and in restorative atonement, that we also would long for him. This will propel us toward the restoration and redemption of the earth. As we cling to our husband and priest, Yeshua, let us be gardeners, cultivators, and guardians of what he has given us, for our avodah (service) restores not only the name of God, but the garden of Eden on earth.